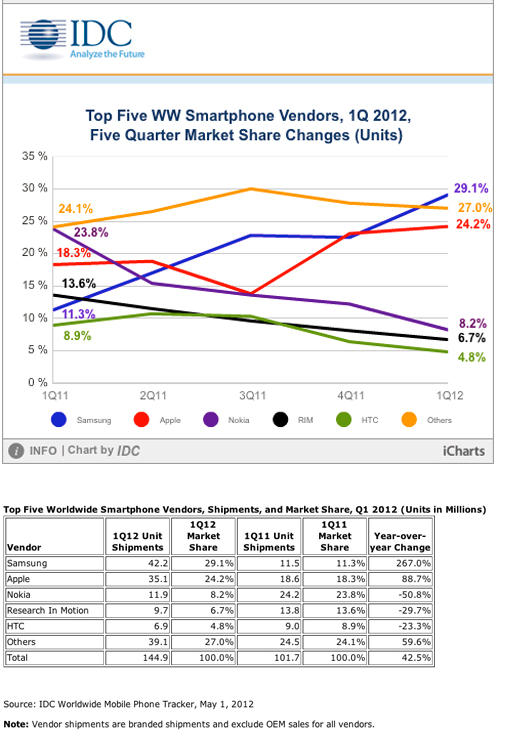 This figure is at odds with the 32 million unit estimate that Strategy Analytics came up with for Samsung’s Q1. Samsung doesn’t release actual sales numbers like Apple does, so a little bit of disparity is inherent. And these are just the Samsung shartphones that have been released in the last year and a half – the ones I could find anyway. So while Samsung continues to vomit a bazillion barely differentiated smartphones into the market and enjoys immunity from groups pissed about how wasteful and greedy they are, Apple endures all the scrutiny and just keeps making the best ones. The Secret to Pageviews and Selling Copy? Keyword: Apple Now You Can Play Smartphone Industry Analyst at Your Child’s Next Party!